Critics of Manitoba's proposed marijuana legislation say the province is showing its ignorance about cannabis and needs to consult more with experts. Tell us what you think in a video comment in our new GoodTalk experiment. 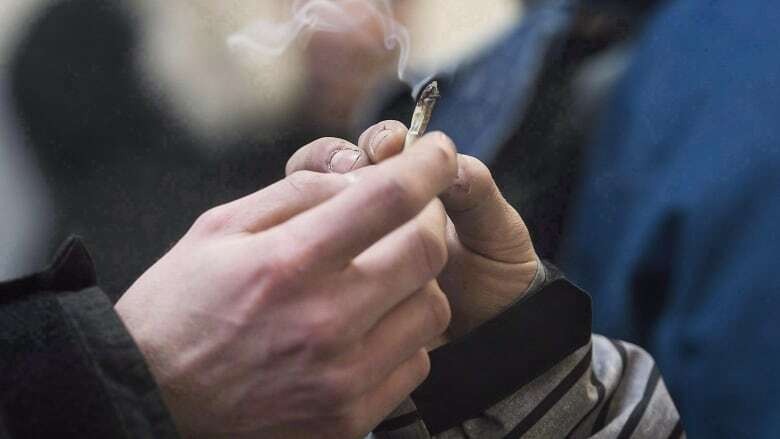 The province is pushing unnecessary, short-sighted laws before waiting to see what the federal government's approach will be to legalizing pot, said Zach Walsh, a former Winnipegger who is now an associate professor at the University of B.C. 's department of psychology, specializing in cannabis research. The bill, introduced Monday by the Manitoba Progressive Conservative Party, lacks consideration for medical cannabis and its users, which could further stigmatize those who rely on it, Walsh said. "There's a number of Canadians who are using cannabis to deal with serious medical conditions, and they already face substantial stigma," he said. "I worry that bills like this are going to exacerbate that and create further barriers for people who might be considering using an efficacious and safe medicine." "I'm also concerned by the emphasis on harms that doesn't seem to be founded by any reason or research, particularly the concerns about motor vehicle accidents," Walsh said. "We know from research over the past decade or so in the United States, where they can compare states that have permitted medical cannabis and recreational cannabis to those that haven't, that those states with medical cannabis have seen sizable reductions in motor vehicle accidents and traffic fatalities." As well, American states that have allowed medical marijuana have seen substantial savings to the government when compared to those paying for other medications, he noted. "It would have been nice if [Manitoba] would have consulted with some experts on cannabis or even if they would have consulted with the scientific literature — if they would have done their due diligence," Walsh said. "I think [this proposed legislation] is uninformed." On Tuesday, Justice Minister Heather Stefanson told CBC News the province did not consult medical cannabis users specifically when drafting the legislation. Groups the province did consult include Winnipeg police, RCMP, Mothers Against Drunk Driving, CancerCare and the College of Physicians and Surgeons. The legislation would bring in restrictions for marijuana similar to those for alcohol, banning people from consuming it in a vehicle and giving police the right to suspend a driver's licence for 24 hours if they thought the person was under the influence of the drug. Stefanson said the legislation is a "stop-gap measure" designed to maintain road safety as the province waits for the federal government's laws. "It is clear that there are public safety issues related to impaired drivers in Manitoba, as shown in the results of the MPI survey that indicated about one in 10 drivers tested positive for drugs," Stefanson said. "We have taken a proactive approach to addressing the concerns around public safety by proposing an interim solution in the absence of federal legislation." Certainly, everyone wants people to be as sober, alert and vigilant as possible when they're driving, but legislation already exists for dealing with impaired drivers, Walsh said. "There's no reason to make a special case for cannabis. It's not at all like alcohol, where we see such pronounced and profound deficits [in judgments and co-ordination]," he said. "It's really a non-issue [when it comes to marijuana], and this legislation seems like a bit of time-wasting and posturing." Canada's move toward legalization of marijuana "makes us a world leader when it comes to sensible drug policy," but Manitoba's posturing is misplaced, he said. "We want policy that's based on sound science and concern for public health rather than continuing some damaging myths that have been inhibiting public health for the last 50 or so years," Walsh said. "I have no doubt that within a decade or less, people are going to be scratching their heads thinking, 'Why was this ever illegal?' I like to think that our grandchildren are going to see it as a bizarre blip in the history books." On Thursday, the Opposition NDP joined the criticism of the Tory bill. NDP justice critic Andrew Swan argued on Thursday that the proposed legislation ignores the needs of medical cannabis users in the province and requested the province consult with medical users before the bill goes further. University of Manitoba nursing professor Lynda Balneaves echoed Walsh's concerns about stigma, saying the legislation is a "good first step," but fails to acknowledge the complexity of cannabis. Schedule 2 of Canada's Controlled Drugs and Substances Act refers to "cannabis, its preparations and derivatives." That includes close relatives such as cannabidiol and Nabilone, which Balneaves said can be used to manage conditions ranging from epilepsy to nausea and vomiting in cancer patients. The proposed legislation would prohibit cannabis from being stored in a vehicle, unless it's in the trunk or behind a rear seat — not a good idea, Balneaves said, for some medical forms of the drug. "If you put Nabilone in a trunk in a hot summer day in Manitoba and try to drive for a few hours, it could actually reduce its medicinal properties," Balneaves said in an interview with CBC on Tuesday. "I also feel that the legislation applies to cannabis being provided in mental health institutions and other health-care facilities, which, again, could really restrict its use for people that could actually benefit from cannabis as a medical agent." Balneaves said it's still unclear how much cannabis drivers can have in their system before it impairs their ability to drive. The drug can stay in the body for up to seven days, she said. "We really need to tease apart what level would be needed to cause impairment. Do you just have a zero tolerance law, or do you have a per se law where you set an arbitrary level that is perceived to cause impairment?" Balneaves said. "As [the legislation is] currently written, it's up to the police officer, you know, at the roadside to make that determination. It's going to require a lot of education and we need to be careful that we're not going to be impinging on people's rights, particularly those that are using it for medical purposes." Colorado State Patrol Sgt. Rob Madden said police in that state, where cannabis is legal, are still unclear on how much is too much to drive. "That is the debate of the century right now," he said on Monday. "In Colorado, we hear the five nanogram limit on a regular basis, and you will have other people that say, if somebody ingests marijuana every single day, so a daily user, five nanograms might be their baseline and they can operate a vehicle, they can go about their normal activities of daily living just fine without any effects. And that is what is being contested right now in the court system, in the scientific system, all the way through." CBC News is partnering with GoodTalk, a new engagement tool that lets Canadians watch and record video comments on top stories and even get featured on the CBC. Follow the links to try it out.